Shuttle Run is the minimal disco of Sandra Yau (Vocals), Steven Stoll (Keys, Guitar, & Bongo), Kahuna Smalls (Bass), and Collin Diederich (Synths, Keys, Percussion). They are releasing their debut full-length album, All These Lights, on the Dark Matter Coffee Label, Press Pot Recordings, on June 7th. The album Is formatted for cassette with Side A consisting for 4 new songs from the band and side B is a continuous mix of song ideas and abstractions. 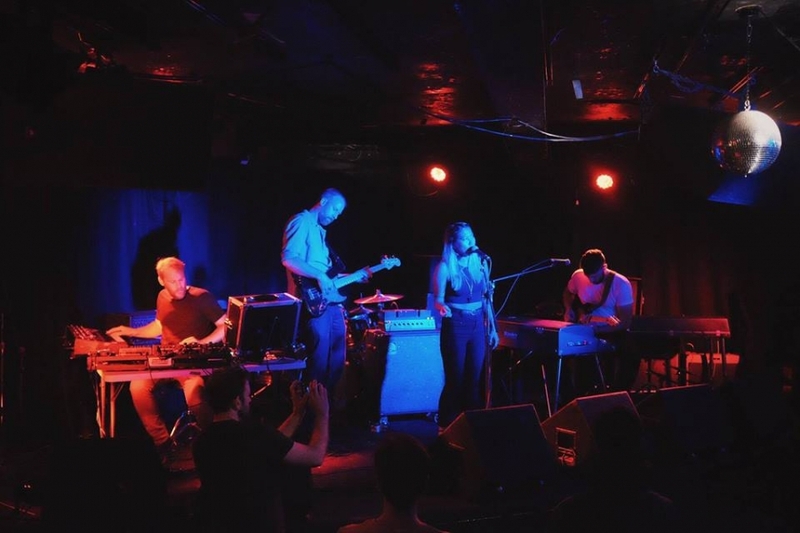 You can help Shuttle Run celebrate their new album on June 7th at Empty Bottle with Jnana and Robotboot.